Yellow-headed Sideneck Turtle (Podocnemis unifilis) basking on a log at the edge of an oxbow lake in lowland tropical rainforest. 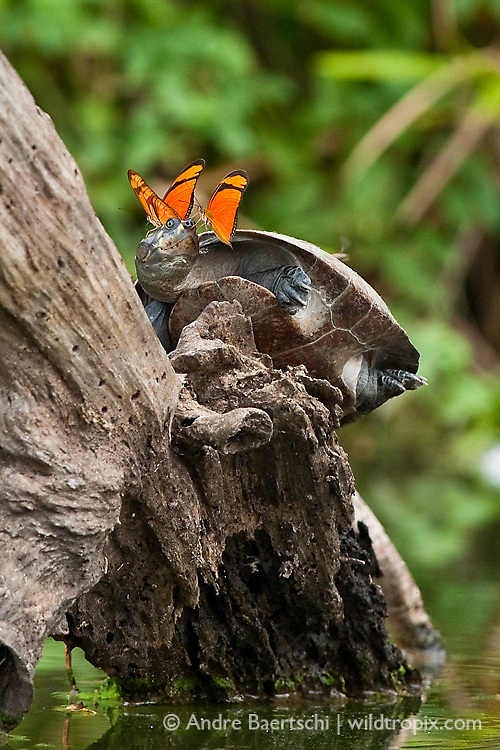 The butterflies are attracted by the turtle's salty eye and nostril fluids. Lowland tropical rainforest, Manu National Park, Madre de Dios, Peru.